All public courses are available as in-house training. Contact us for more information. Requirements discovery is no longer about producing large, unreadable (and often unread) specifications. Requirements today is about uncovering the real needs of the problem space, understanding the needs of the people who use your solution, recognising the environment for the solution, then, in a timely manner, delivering requirements that are concise, clear and testable. Understand the need for, and how to write, functional and non-functional requirements. The course begins with an overview of the process. It looks at how agile and traditional projects both need requirements but are done differently, the requirements food chain, and the topics to be covered by the course. Delegates will discuss with the instructor their particular problems and objectives for the course. The blastoff builds a foundation for your requirements project by establishing its scope, its stakeholders and the goal. The scope is the problem space or the business area to be studied. The stakeholders are the people with an interest in the outcome. The goal is testable, and ensures that the project will deliver stakeholder value. The Blastoff is also there to ensure that the project is viable and worthwhile. At the core of any requirements process is the ability to get people to tell you what they really need, rather than their perceived solution, or what they think you might be able to deliver. 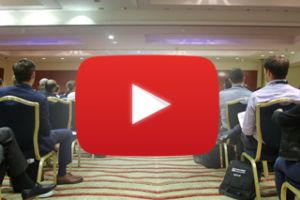 We show you how to use business events, apprenticing, use case workshops, interviewing, brainstorming, personas and other techniques to discover exactly what your stakeholders do, and what they need to do it. This section introduces the brown cow model that gives the business analyst different ways of thinking about the problem, and allows the essence, the real problem to emerge. We also look at innovation – fresh thinking about the problem – and how it is a necessary component of any requirements process. Functional requirements are the things the product must do. You discover them by understanding the real work of the organisation, and determining what part of that work your solution can best do. The solution is usually established using scenarios – these are great if you need a sign-off – and then specified by well-formed requirements or stories. Non-functional requirements are properties the product must have. These include the desired look & feel, usability, performance, cultural, conformance, and so on. Non-functional requirements often determine the success or failure of solutions, so this section demonstrates their importance, and how to find and then precisely specify the qualitative requirements for your solution. Requirements are equally important for agile projects if your solution is to match the real business needs. Effective agile projects understand that there are two parts: Discovery and Delivery. Discovery involves understanding the real work and the real problem to be solved if you are to deliver the value proposition. It uses business stories to communicate the Discovery findings. Delivery focuses on iterative development and how a story map provides the best guide to the product under development. We also teach you how to write better, more effective stories. Prototyping is a way of discovering requirements by sketching wireframe solutions. Here you assess the merits of low and high-fidelity prototypes, and how scenarios can be used to discover previously-hidden requirements. You also look at the wanted alternatives, unwanted exceptions and potential misuses of the product. There is a need to communicate requirements – how to formulate them and how to include an unambiguous fit criterion. The fit criterion makes the requirement measurable and testable, as well as ensuring the implemented solution precisely matches the client’s expectations. Testing is most effective when it is done early in the development cycle. Here we demonstrate how to test requirements so that the developers receive the correct requirements. The Quality Gateway assesses the requirements and rejects any that are out-of-scope, gold-plated, non-viable, incorrect or incomplete. Requirements are the lynchpin of any development effort, and so must be managed effectively. You are given strategies for your requirements management, the requirements knowledge model, how to prioritise requirements, and how to resolve conflicting requirements. We take a look at tools to help manage requirements. You discuss and determine how to make your own requirements process as effective and efficient as possible. This involves incorporating your own organisational processes into the requirements activity. You build a demonstration of how you will use what you have learned when you return to your own work place. We want you to be able to use this right away. Each of the teaching chapters is reinforced with a workshop where you apply the concepts presented in the course. You work in a small team to scope the problem space and then discover, specify and evaluate requirements for the solution. Your instructor is not an “announcer”. He or she is a practicing business analyst who also happens to be an excellent instructor. The course is written to show real-world situations and provide real-world solutions. You will be able to relate your own work situation to the course. You can discuss your own requirements issues with your instructor. You learn that requirements come from understanding the business and its internal processes, and how the business interacts with its external customers. The course provides a realistic framework for requirements discovery, not a strict methodology. The framework provides the freedom and encouragement to adapt to your own organizational needs. The techniques are applicable regardless of your development method – agile, traditional or anything else. The Brown Cow model to give you different and beneficial ways to look at the problem. The Volere requirements knowledge model which ensures you collect the right information, and the right amount of it. You receive the Volere Requirements Specification Template (downloaded over 20,000 times) with advice on how to make this your own template. 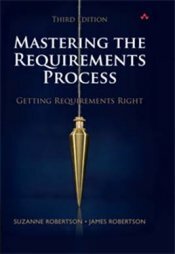 A free copy of Suzanne and James Robertson’s best-selling book, Mastering the Requirements Process – 3rd Edition, Getting Requirements Right. or similar. Team members on agile projects benefit from understanding how requirements are best done in agile projects. Users, software customers and business stakeholders have found that this course equips them to participate more effectively in the requirements process, and so ensure that the end solution matches what they really need. James Robertson is a business analyst, problem solver, author, speaker, instructor, designer, and sought-after consultant. His work has taken him to projects in Europe, Australia, Asia and the United States. His courses on business analysis and requirements are popular in several continents. James’ latest (seven and counting) book, Business Analysis Agility, sets down how business analysts can work in a more agile way, and synchronise his requirements discovery as part of an agile development team. James is a principal of the Atlantic Systems Guild www.systemsguild.com, and is an author of the Volere requirements techniques and templates, www.volere.org which have been adopted by organizations all over the world as their standard for gathering, discovering, communicating, tracing, and specifying solution needs. "Gave me lots to think about – particularly with application to my company. Good clear speaker, excellent facilitation"
"Lively, knowledgeable, articulate - absolutely excellent"
"Very informative, lots of relevant stories, very knowledgeable." 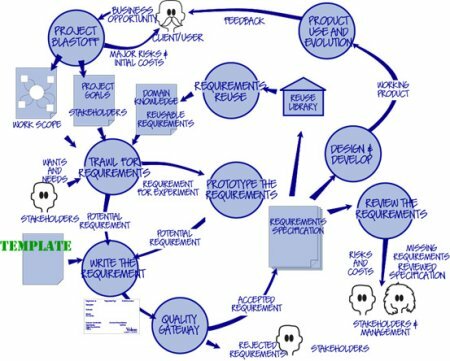 "The flow followed that of the requirements process, was easy to relate to and follow." "Really well paced and easy to understand." "The seminar was a mind opener for me. I started to use some of the seminar teachings the day after and I keep wondering at the enormous difference it makes in my daily job. For the first time in 20 years, I feel in control of client requirements and from there the full project lifecycle!" "Good mix of lectures and workshops. Never felt bored - time flew. Very easy to listen to and obviously 'knew his stuff'." "Inspirational. Able to provide lots of examples to demonstrate theories and practices." "Very knowledgeable, confident and plenty of opportunity for audience participation." "James Archer was excellent, knowledgeable and approachable. One hundred per cent of the content was relevant. The seminar exceeded my expectations." London Accommodation: IRM UK in association with JP Events Ltd has arranged special discounted rates at all venues and at other hotels nearby the venue. Please visit the JP Events website for further information. Email: jane@jpetem.com Tel +44 (0)84 5680 1138 Fax +44 (0)84 5680 1139.